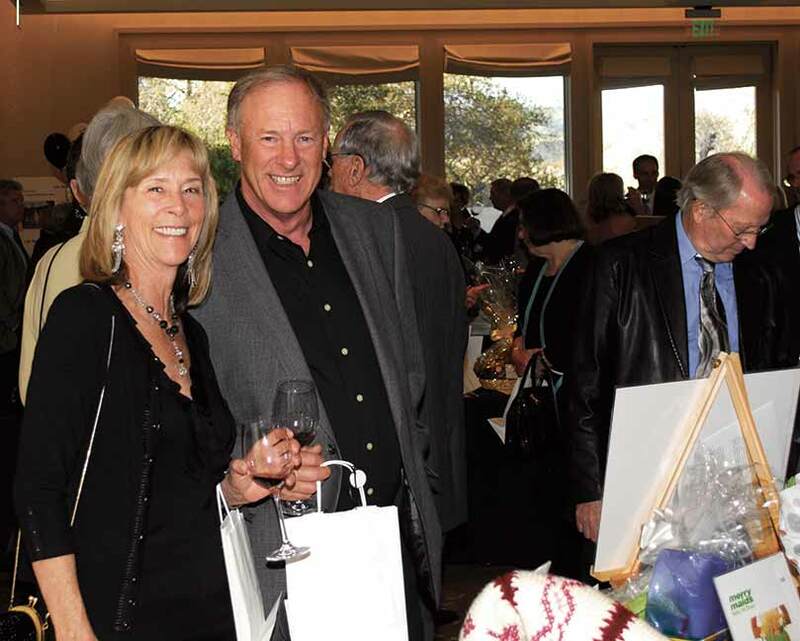 A host of exhilarating events takes place each year surrounding The Carmel Foundation. We kick off the year in January with Philanthropic Foodies, an extraordinary food and wine event. In Spring we hold The Gala, our largest fundraiser. Guests enjoy a wine reception and silent auction followed by a live auction and dinner at one of the peninsula's premier event venues. 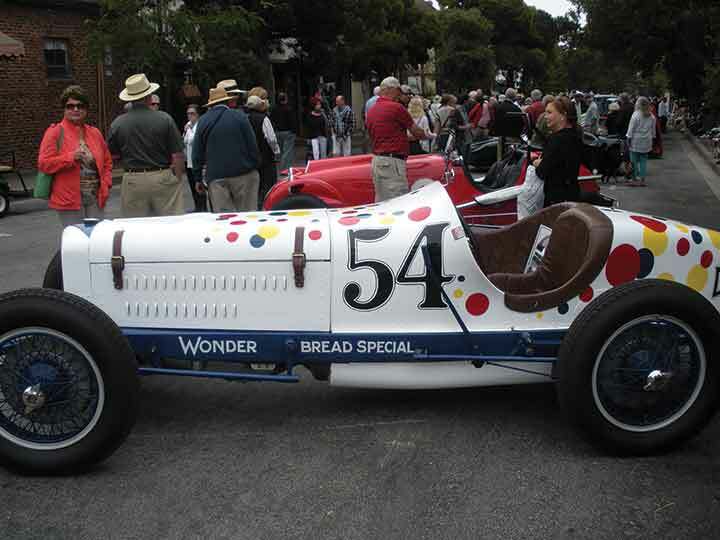 In August, the streets of Carmel-by-the-Sea are filled with collector cars during CONCOURS ON THE AVENUE with the Foundation as the non-profit beneficiary. 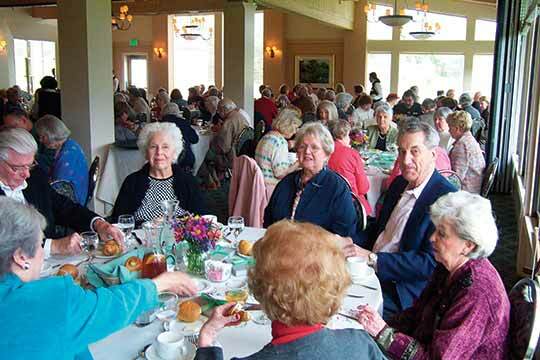 In Fall, we hold our Annual Meeting where a state-of-the-union style presentation is made with a reception following. Soon thereafter, the Foundation acknowledges our major donors, those that have included the Foundation in their estate plans, and those that are Pillars of the Foundation. Thank you to the many donors, sponsors and attendees of the events that help support vibrant programming and services for seniors in our community. Come and meet new friends at this new after hours event! Wine, cheese & nonalcoholic beverages provided. Cost is $5 per member by RSVP only. Sign up online at www.carmelfoundation.org or with member services, 624.1588. The Annual Meeting, usually held in September, features a short program highlighting the Foundation's programs and services. Following the program, attendees enjoy entertainment and a wine reception in the courtyard. Comedy Night at a reasonable hour with Will Durst, Dan St. Paul and Richard Stockton! Friday, April 19, 2019, 5:30pm at The Carmel Foundation, corner of 8th & Lincoln, Carmel. $25 admission includes a glass of wine. For more information and to purchase tickets please contact Leanne at 620.8702 or lleonard@carmelfoundation.org. Major donors, Pillars of the Foundation and members of our Legacy Society will be honored at the Major Donor Reception. This is the Foundation's opportunity to show appreciation for those that have provided substantial financial support over the past year. Since its inception, The Carmel Foundation has had the honor being the non-profit beneficiary of CARMEL-BY-THE-SEA CONCOURS ON THE AVENUE. 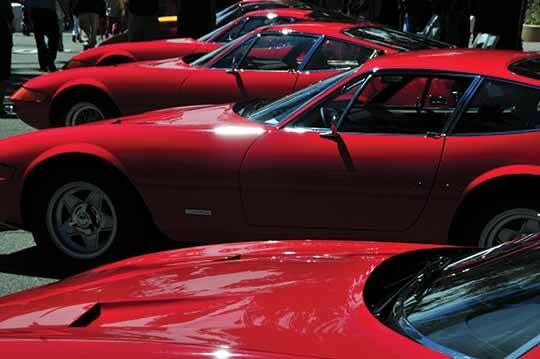 During this prestigious event, 18 blocks of downtown Carmel are filled with collector cars, celebrating the finest in automotive design and engineering. Visit the website for more information. This event is an evening of great food and wine benefiting The Carmel Foundation. This year, guests will enjoy an exquisite dinner paired with local wines at La Playa Carmel. Guests will enjoy a wine reception and silent auction followed by a seated dinner, live auction and dancing. This is the Foundation's largest fundraising event. A delicious turkey dinner with all of the trimmings, prepared by your Foundation chefs, will be served by the Rotary Club of Carmel by the Sea on Thanksgiving Day in Diment Hall. Homebound meals are available and will be delivered by the Carmel Lions Club. A sumptuous holiday pork loin dinner, with all of the trimmings prepared by your Foundation chefs, will be served by the Carmel by the Sea Rotary Club in Diment Hall on Christmas Day.The Carmel Host Lions Club will be delivering dinner to homebound members. The New Year's Eve party will be held on Monday, December 31, 3:00pm-5:00pm in Diment Hall. The celebration countdown is Greenwich Mean Time with the New Year ringing in at 4:00pm. Celebrate while enjoying hors d'oeuvres, champagne, cider, and dance to Bag O' Tricks. Tickets are $5 per person. Reservations begin December 1. A delicious Prime Rib Lunch or Dinner will be served at the Foundation. Stay tuned for date and time.